The indictment of Barry Bonds this week brought along with it the usual hoopla and opinion-spouting from every "analyst" as well as from every halfway-knowledgeable sports fan. This blog is no different. However, what hoopla is unusual is the loud defense of Barry. Coming from certain quarters—especially black reporters—the defense rings false. It smacks of defending Barry at all costs for reasons not true and having nothing to do with the integrity of the game. The defense seems to follow two schools of thought. The first—the everybody's doing it—argument goes like this. "...(Barry is not the bad guy) The entirety of baseball is the bad guy" (Betting Fool Blog—SFGate.com). The second argument, the race argument, goes like this: "What about Mark McGuire?" (The semi-coherent Stephen A. Smith—ESPN). Let's start with the first one—the Everybody's Doing It" defense. The gist of it seems to follow this thought; It's not that big a deal...The government is wasting their time...Everybody does it anyway. The head-scratchingly obvious response to this is...the fact that others, (including, but not exclusive to, Raphael Palmiero and Jason Grimley) have committed a crime isn't absolution from a crime. You are still just as guilty. Here are some quotes from a Barry defender. "By some estimates, 40 percent of MLB over the so-called "Steroid Years" were on something." Again, even if the figure of 40% is true, it doesn't absolve anybody. The logic of "If enough people commit a crime, it ceases to be a crime" is not logic at all. At what percentage of people doing it does it cease to be a crime? 40%? 50%? Also, which crime is ok? If 40% of players were gambling on baseball as well as injecting steroids, should we ignore their behavior as well? Um, no. I don't cheat on my taxes. And I don't use steroids. Should I because "everybody" was doing it? Also, we're not condoning their behavior—lying to family or such—we're indicting a crime. Even if the estimates (we wonder which reputable source afforded those numbers) are true and 40% of players did it, that still leaves 60% who didn't. Why should we let those who played the game the honest, true way get penalized for not cheating. You don't pick and choose which lawbreakers you go after. If there is a law against doping and steroids. you enforce it. If you don't, what's the point of the law? And if a man knowingly breaks the law, then lies to a grand jury—after being warned not to, and doing it anyway—then you indict him. Another quote: "But if he didn't tell the Feds the entire truth about the juice that fueled baseball's comeback, slap his wrists and put him on probation." Right? No, because perjury and obstruction of justice are not slap on the wrist misdemeanors. They are, and should be, serious charges. "The owners and snakes slithering around in Bud Selig's cave are hugely to blame. That's who the feds should arrest." Why? What law did they break? What logic are you using to go after owners? Because they are rich? Again, most of the players didn't use drugs. To not indict Bonds would be an insult to every honest, hard-working player, who played the game the right way. To not go after Bonds would reward every player who cheated and would be a slap in the face to every player who didn't—Henry Aaron included. Every home run Henry Aaron hit would be the home run of a fool, who didn't cheat. You would be rewarding someone who knowingly broke the law. Multiple times. That's why you go after Bonds. The second point. The race card. The Why Barry and not Mark card. Simply put, because the whole BALCO investigation wasn't started until after Mark left the game. In 2003, the government got an anonymous tip regarding the Bay Area Laboratory Co-Operative. The investigation started then and there. Again, why? Because use of steroids did not violate baseball policy until a testing program for the performance-enhancing drugs became part of the current collective bargaining agreement in 2003. Also, when McGuire played before 2001, he didn't hide the fact he used androstenedione, an over-the-counter muscle enhancement product. Why? Because baseball didn't consider it illegal. In December 2003 when Jason Giambi went in front of the grand jury, he admitted using the Cream and The Clear—at that time, impossible to find steroids. For his part, Barry said he got what he thought was flaxseed oil from his trainer, and not steroids. If you believe that, then you probably also believed John Gotti was a part-time electrician from Queens. Frankly, there is no conclusive, or even mildly persuasive, evidence that the indictment of Bonds has anything to do with race. Jason Giambi—who to his tiny credit, went up and admitted using drugs—was the first ballplayer vilified (and rightly so) in the press. On August 1, 2005, Raphael Palmeiro, a Dominican, who had loudly and vehemently professed to never doing steroids was suspended for violating baseball's performance-enhancing drug policy. On June 6, 2006 the home of baseball player Jason Grimsley (a white player) was searched as part of the ongoing BALCO probe. Baseball and the press has gone after any any all races in their search for steroid users. "...you know Mark McGuire shoulda been had and he's able to retire..." (Stephen A. Smith —ESPN). Again, using enhancements wasn't against baseball's collective bargaining agreement at that time, which, if Smith was a more diligent reporter, would know that. And if Smith paid any attention to details, Bonds indictment isn't for steroid use; it's for perjury and obstruction of justice. If Bonds had followed Jason Giambi's example and confessed to the grand jury in 2003, we wouldn't be here right now talking about this. Charles Barkley (for some reason) was asked about his opinion on the Bonds indictment, and he says "I cannot believe that after four years this witch hunt came to a conclusion....I cannot believe this selective prosecution, witch hunt, came to this. We didn't have prosecution against Mark McGuire. We didn't have prosecution against Jason Giambi....It's about race..."
Witch hunt? How? 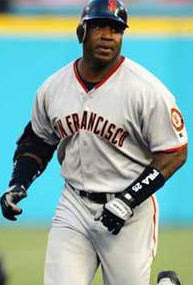 The fact that Bonds has used steroids is beyond need of any more proof. Selective prosecution? Again, the charges he was indicted for are for lying and obstructing justice. Giambi confessed to using drugs. McGuire didn't have to. And another thing. Giambi and Bonds had been given immunity for the 2003 grand jury testimony, meaning they could be prosecuted for the information they gave only if they lied. That's why Bonds has now been indicted and that's why there is no case against Giambi. This blog in no way condones or approves of the actions of McGuire, Giambi, Bonds or anyone else who cheated (including Sammy Sosa, he of the corked bat). But to say this has anything to do with race....there's just no evidence. To conclude, this blog thinks that anyone—including Giambi—who has been caught, or admitted doing steroids while playing baseball during the time that it has been illegal to do so, should never play the game again, and all records they accumulated are null and void. And that goes for whatever race they are. My favorite Barry story was when he was telling reporters that black people don't get any respect in sports, while he was standing in the shadow of a Hank Aaron statue. I am furious that the grand jury didn't indict before he made the record. Even if you put an "*" next to his name in the books, his name is still in the books. I know the legal system is slow, but I would believe it if I heard that Selig or someone else pulled strings to slow it down a little more. Either the moronic Bonds defenders or maybe MLB wanting press (there is no such thing as bad publicity), I suspect the timing was planned. Oh, one more thing, How strong are his neck muscles? How does he hold that huge head of his up? Thank you P-Cat for restoring some common sense to the sports analyst community. 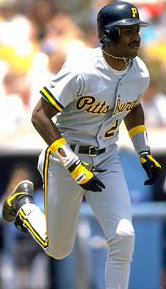 I'm sick and tired of all the analysts that use the term "witch hunt", or bring race into the Barry Bonds discussion. They should be fired on the spot. I won't reiterate all the dead-on points raised by P-Cat, but it can't be stressed enough that this isn't a witch hunt. The investigation did not start with Barry. But you know what? For argument's sake, what if it did? If you're in law enforcement, don't you go after the highest profile lawbreaker in order to dissuade others from breaking the law? Should celebrities and politicians be exempt from criminal laws just because they have a high profile? McGwire, Sosa, Palmeiro, Canseco, Giambi...they get asterisks too. But Barry is one of the few remaining playing members of the Juicers Club. Oh, and he just happens to have broken BOTH home run records. And lets not forget...cheating at a pro sports is bad, but perjury is a truly serious crime. Or that the purpose of committing said crime is to hide something. The Barry defenders ignore that- but then again, perhaps they're the ones really guilty of any kind of bias in this sad episode. Isn't the whole point of sports watching and rooting for players who are playing on a level playing field? Whats the point of watching if all this cheating is going on? It doesn't matter what color or how good the player is they should be held up to the same standard all the other players and American citizens are held up to. If they cheat they should be punished. If they break the law they should be prosecuted. Barry Bonds utterly disgusts me. He was basically told, "Listen, we know you used steroids. I mean seriously - look at yourself. But anyway, we're working on prosecuting the distributors of these illegal steroids, and we need you to testify. We'll give you immunity. A free pass. All you have to do is tel the truth, and you can't get in trouble. Just whatever you do, don't lie, OK?" In one fell swoop, he demonstrated everything that was wrong with baseball (cheating) and everything that was wrong with America (he lied to a jury). He's despicable. For his own greed and self gratification. "Everyone does it..." MY A$$!!! Tell that to Don Mattingly. You think he could have used a little juice to help him with his bad back? Maybe just enough to eek out one more year? But Donnie didn't juice, did he? No. Because he knew the difference between right and wrong. Bonds is everything that is wrong. Apppreciate the comments from Roberts and Cajetan. And true Roberts, the whole dman point is that people are on a level playing field. Be there America, Dominican, Jamiacan or whatever. And the fact that he lied, Cajetan, when he had a free pass—I don';t know whether to laugh or cry. He obviously had an agreement with Anderson. Barry would obstruct justice so Anderson wouldn't be convicetd. Anderson would go to jail to protect Barry long enough for him to break the rcord. Isn't there a money trail we can follow? Barry must be taking care of Anderson.